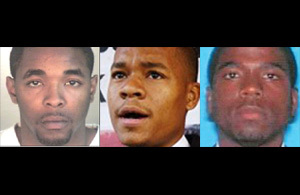 OAKLAND — A judge Friday rejected a request that he rule immediately on a change-of-venue motion in the murder case of journalist Chauncey Bailey and two other men. Lawyers for accused killers Yusuf Bey IV and Antoine Mackey asked Superior Court Judge Thomas Reardon to decide right away if their trial should be moved to Southern California so they would have time to appeal if Reardon said no. Reardon ruled last week that he would not determine if the trial had to be moved until after jury selection. He reiterated that position Friday, saying the request cut to the heart of “what I do every day,” which he defined as preside over fair trials. Bey IV and Mackey’s lawyers indicated they would appeal Friday’s ruling. “If the court of appeal says I have to rule, I’ll rule,” Reardon said. During discussion of the matter Friday he repeatedly said he believed he was entitled to reserve judgment until after jury selection — a process, he said, that would determine if a fair panel could be seated. Reardon did say he found media coverage of the Bailey case to be voluminous “and inflammatory.” But he added that a defense expert who testified that a fair jury could not be seated in Alameda County “undermined his credibility” by inflating the number of news stories about the case and then correcting them downward. Reardon said that led him to be skeptical of the rest of the testimony of the expert, Bryan Edelman, a social psychologist who testified it was his opinion that the defendants could not get a fair trial unless the case was moved. Reardon on Friday said that he expected jury selection to be a lengthy process and that he planned to bring in about two dozen people a day for several weeks until a pool of several existed who had passed preliminary screening. That pool would then undergo further scrutiny, he said. The trial is scheduled to begin Nov. 8 with motions, including an expected request from Mackey that he tried separately. Bey IV is charged with ordering Bailey, then editor of the Oakland Post, killed to stop him from writing a story about his family business, Your Black Muslim Bakery. Mackey is charged with helping confessed gunman Devaughndre Broussard hunt down Bailey. Bey IV is also charged with ordering the 2007 murders of two other men, Odell Roberson and Michael Wills. Mackey is charged with killing Wills and helping Broussard kill Roberson.